The Skylink GBRK Smart Button with Keyless Entry System & Easy Clip simply replaces or parallels your traditional wall button with the Smart Button receiver. The Smart Button receives a signal and then opens/closes your garage door. It can also work with up to 15 more remote controls. Features include: Personal access codes for maximum security, Backlit keypad, Short beep when buttons are pressed, ABS UV plastic case, Weather-resistant design and Rolling Code Technology . 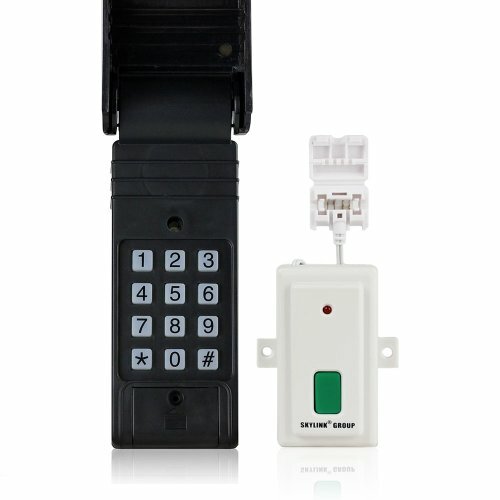 Purchase the Skylink Garage Door Opener GBRK and you are guaranteed to save!.